Secretary, Transport Secretariat of the Federal Capital Territory Administration, Mr. Kayode Opeifa (left), Minister of Information and Culture, Alhaji Lai Mohammed (middle) and the Chief Resident Engineer for Abuja Rail Project, Mr. Anthony Agbakoba, during a facility tour of the Abuja Light Rail Project by the Minister on Thursday. Abuja (Nigeria)- About 10,000 Nigerians were employed during the construction of the Abuja Light Rail Project, in the nation”s capital which was recently commissioned by President Muhammadu Buhari. Similarly, 100,000 more will be directly or indirectly employed when the project begins full operation. Chief Resident Engineer for the Project, Anthony Agbakoba, disclosed this while briefing the Minister of Information and Culture, Lai Mohammed, who took journalists on a tour of the project, which is being test-run. Mr. Agbakoba said that in addition, 68 highly-skilled personnel have been trained in Malaysia and China on Railway Operations and Management in order to build the required technical capacity needed to run such a modern rail system. “Federal Capital Territory Administration, FCTA and Nigeria now have capacity to supervise similar railway construction projects from start to completion within 3 to 4 years of conception,” he said. While conducting the Minister and his team round the train stations, the Secretary of Transportation in the FCTA, Mr. Kayode Opeifa, said the present administration inherited the Abuja Light Project at 53% completion stage and delivered the project within 18 months. 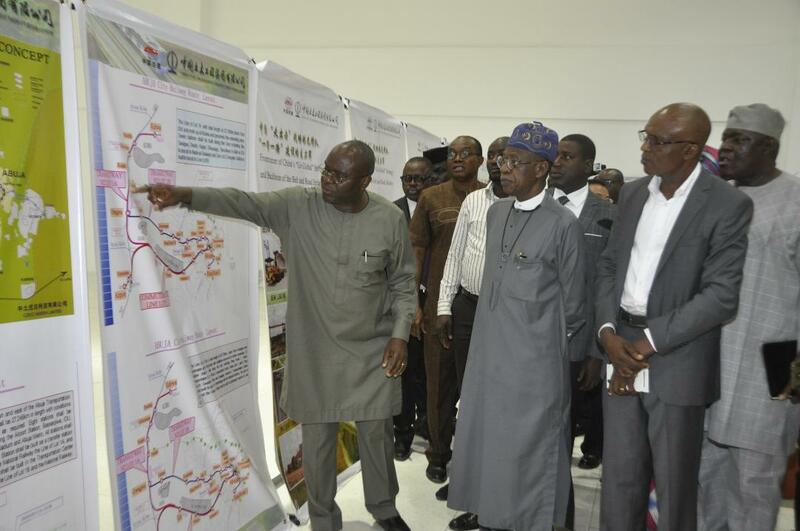 He said the project is the first integrated mode of transportation in Africa that connects the railways and the airport in order to ensure seamless movement of passengers. Mr. Opeifa said a desk will be assigned to the Federal Ministry of Information and Culture at the Airport Station to showcase the nation’s rich cultural heritage and tourism attraction, adding that the station itself is a tourist attraction. He said although the Abuja Light Rail is currently on a test run with 3 coaches, contract for the construction and supply of 48 additional coaches has been awarded, with the coaches expected to be delivered in batches. In his remarks, The Minister of Information and Culture, Lai Mohammed, said the Buhari Administration is building a legacy of enduring infrastructure for posterity. “This administration is not looking for quick fixes because quick fixes don’t work. We are laying a foundation for an enduring infrastructural development. We are painstaking and very transparent and we remain focused and committed,” he said. Mohammed expressed the confidence that Nigeria possesses the required technical competence to manage the Light Rail Project and turn it into a huge success. “Some of the key personnel, who have worked in virtually major rail companies in the world, are actually anchoring the programme. Some of them have been trained in the best schools in the world for transportation and so we are confident of the expertise and experience of the personnel that are handling the light rail and the regional rail,” he said. 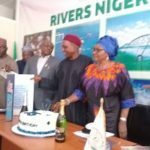 The Minister said the level of successes being recorded by the present administration, in its key priority areas, has left the opposition in shock, hence their resort to fake news and hate speech. The 45.2-kilometre Light Rail Project, which is divided into six lots, comprises 12 stations, 50 culverts, 13 railway bridges, 9 pedestrian bridges, 15 flyovers, and a 21-building Rolling Stock Depot.